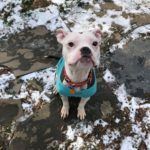 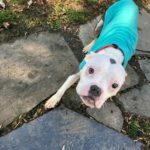 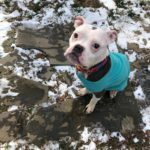 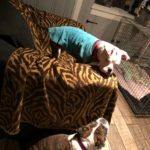 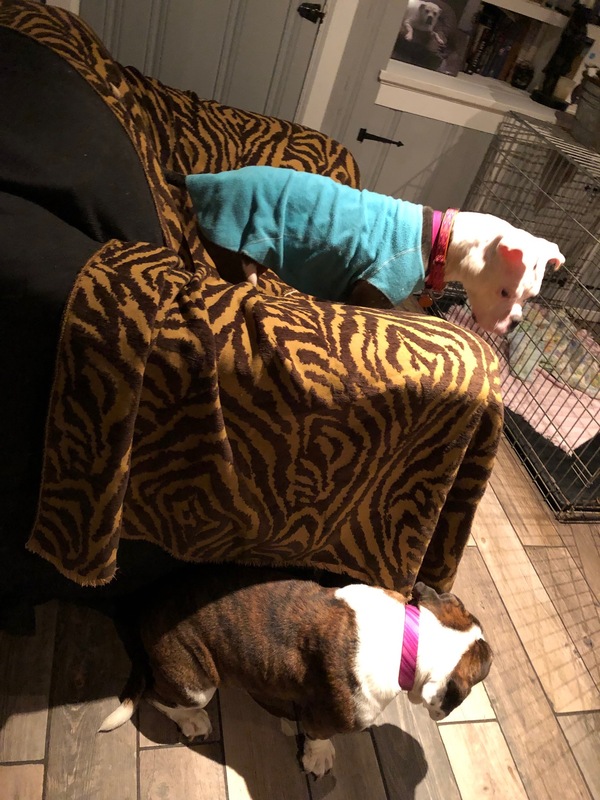 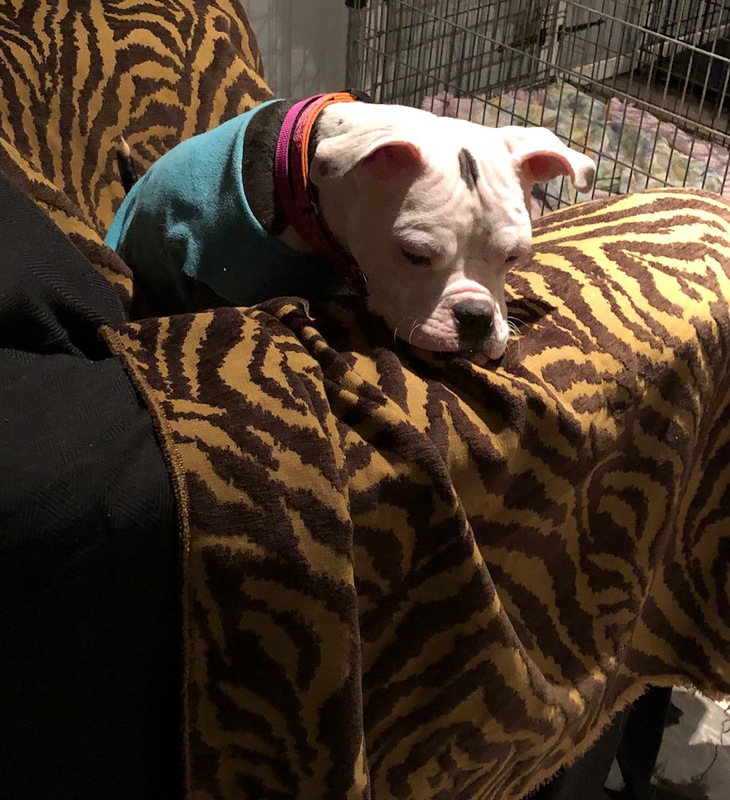 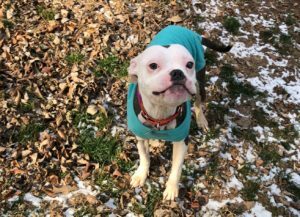 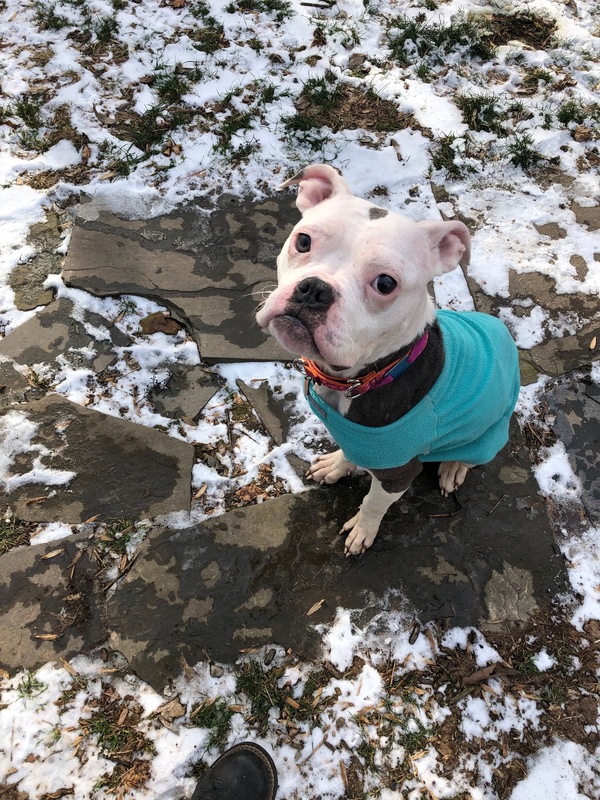 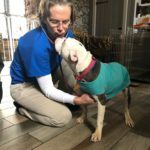 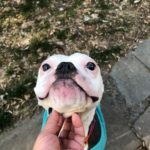 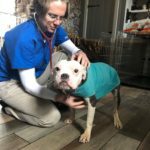 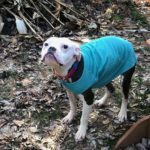 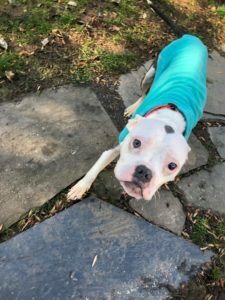 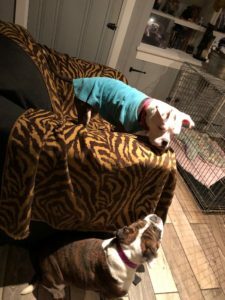 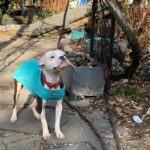 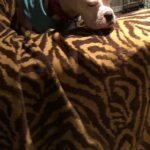 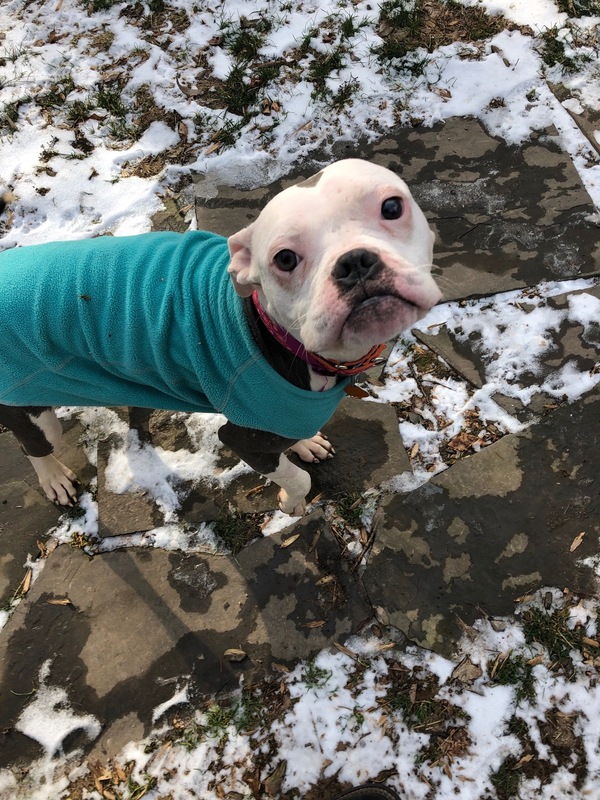 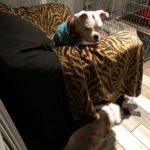 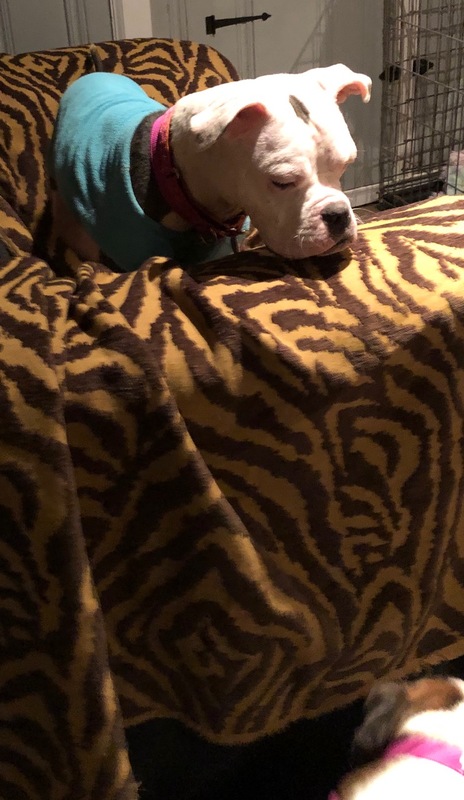 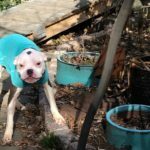 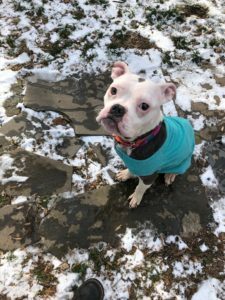 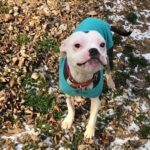 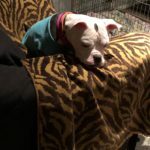 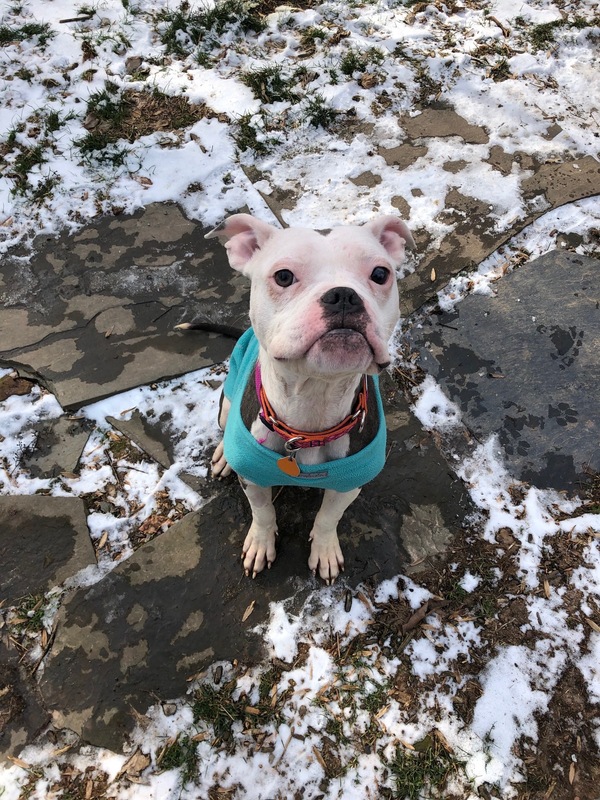 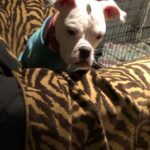 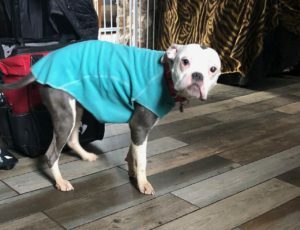 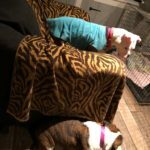 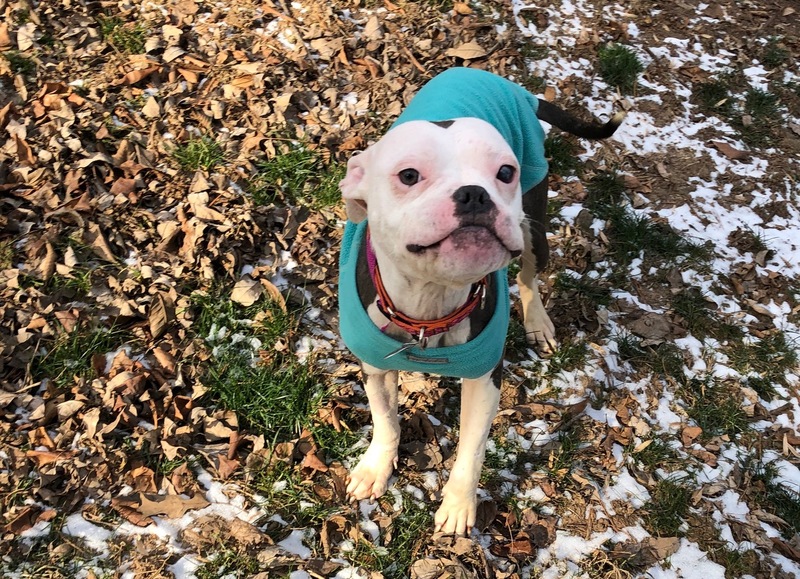 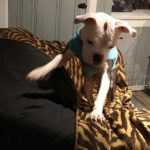 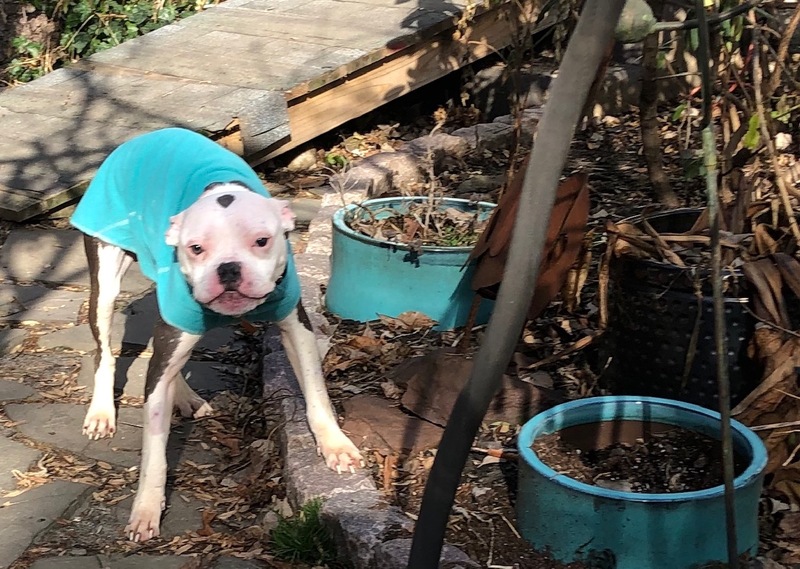 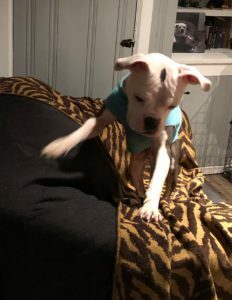 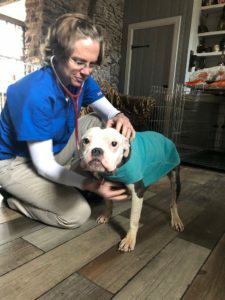 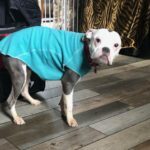 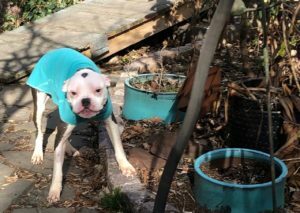 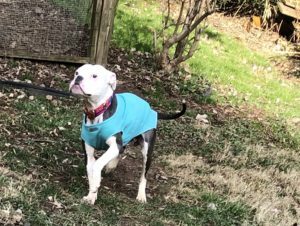 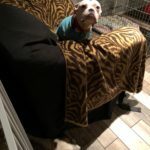 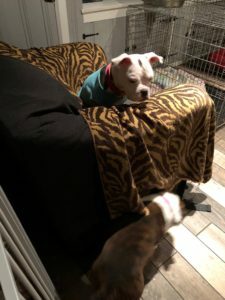 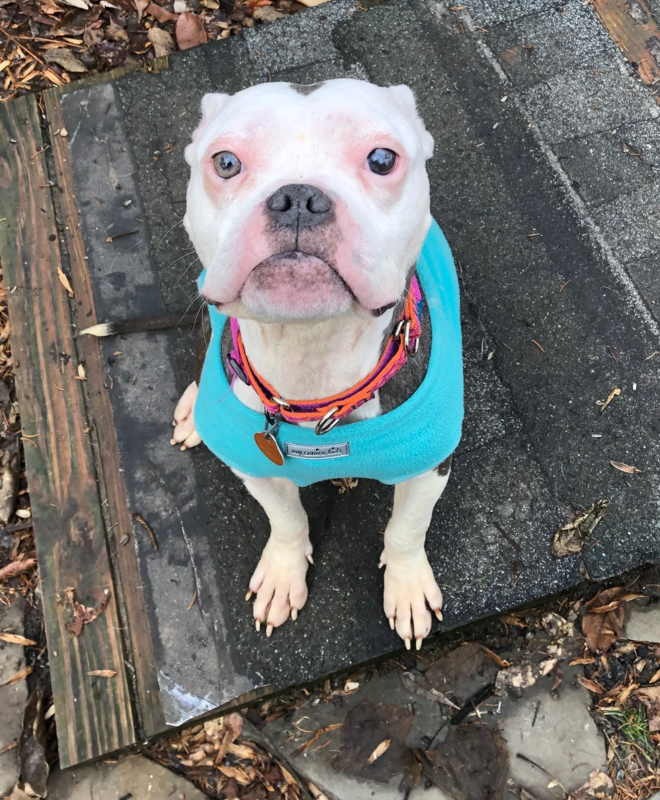 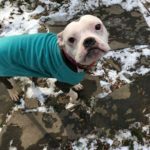 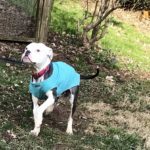 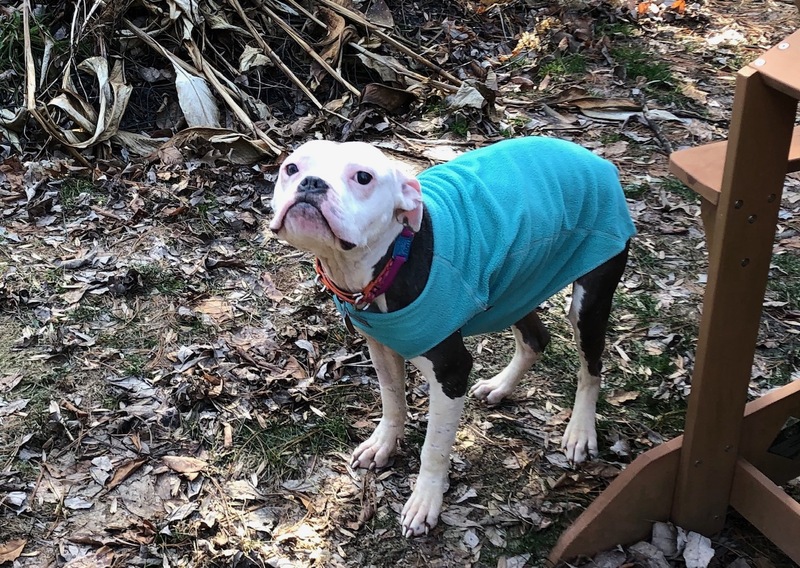 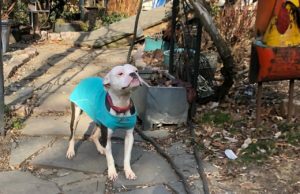 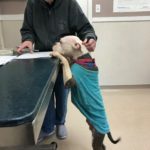 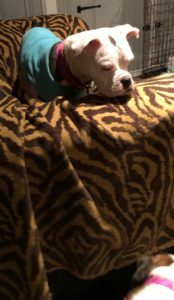 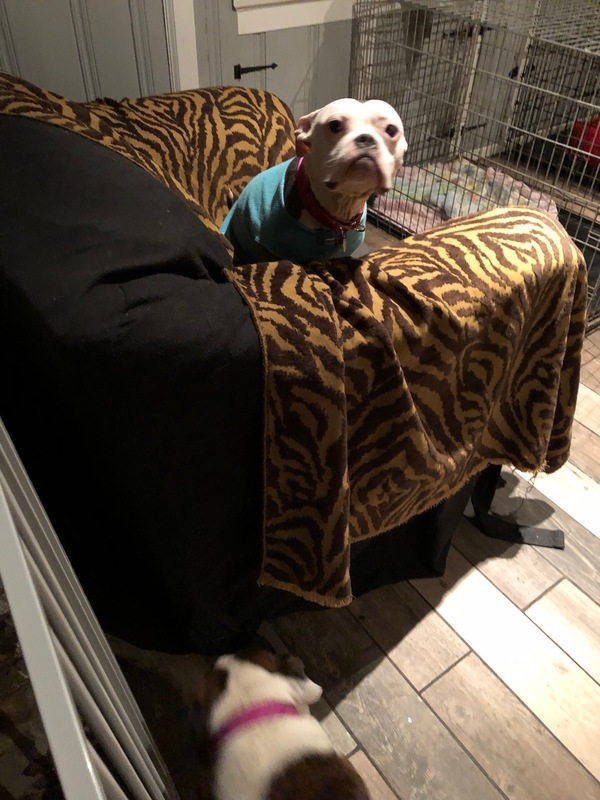 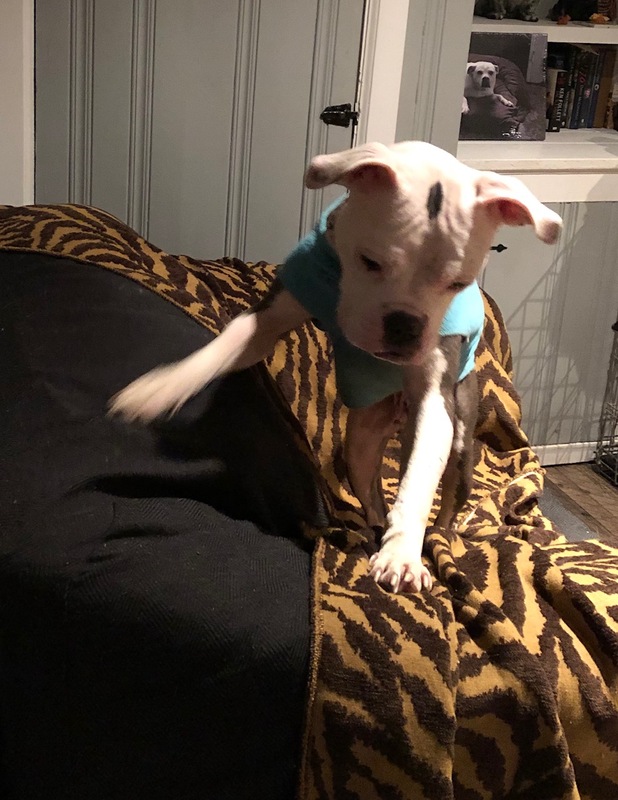 American Bulldog Rescue - 501C3 Not-for-Profit Dog Rescue Charity – Tara ADOPTED! 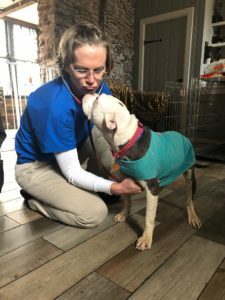 Tara’s favorite things: Tara loves love. 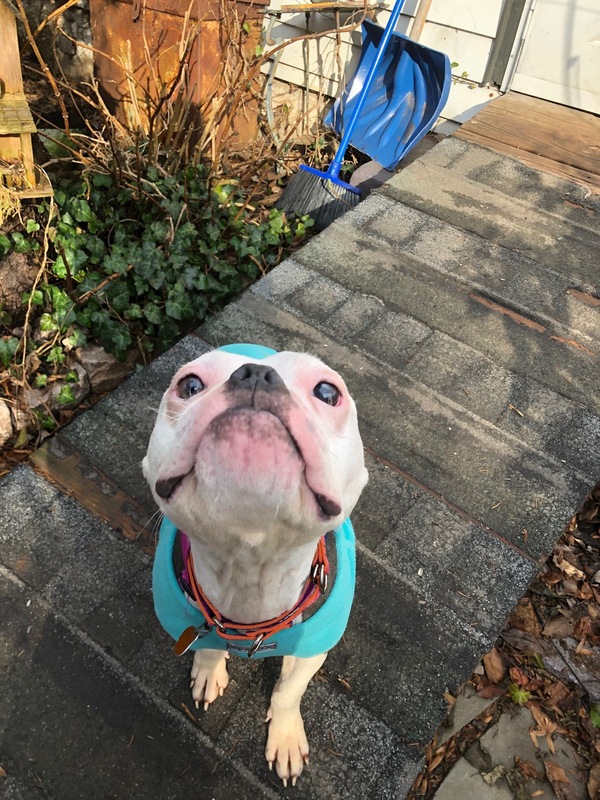 Her world is looking into your eyes and trying to impress you. 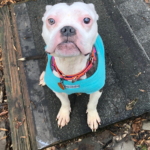 She loves all dog things like bones and toys but if you ever wanted to feel worshipped Tara is your girl. Health issues: She has damage to one eye but she can see perfectly. 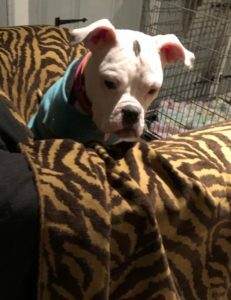 We love this little girl. She lives to make everyone happy. She is 34 pounds of delicious love. 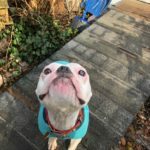 She is kind, eager to learn, respectful and smart. She did have a rough beginning but seems to have forgotten it all. 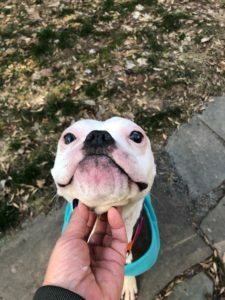 She lives to make you happy. 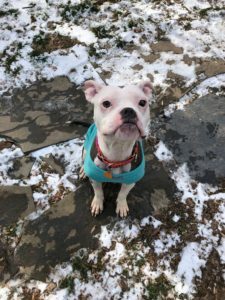 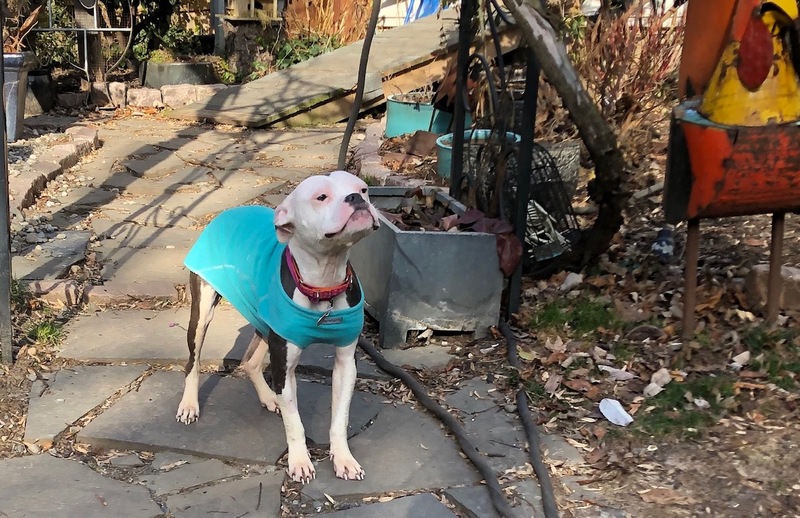 Tara is crate trained and if you go out with her she does her business outside and gets the concept but she is a bit afraid to be outside alone. 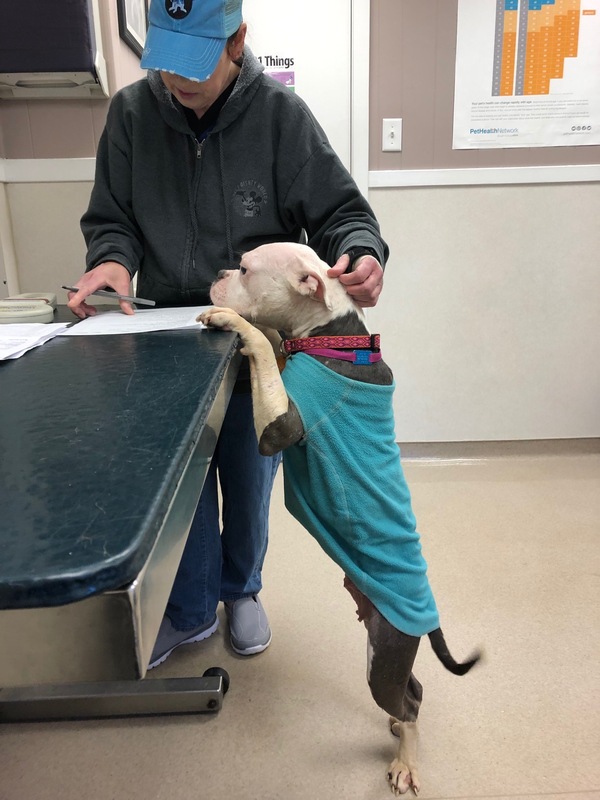 She was 29 pounds when she came into rescue. Her ideal weight is about 42 pounds.